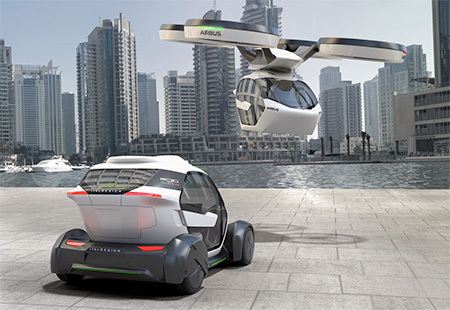 Innovative autonomous car engineered to ride on roads and fly in the air. 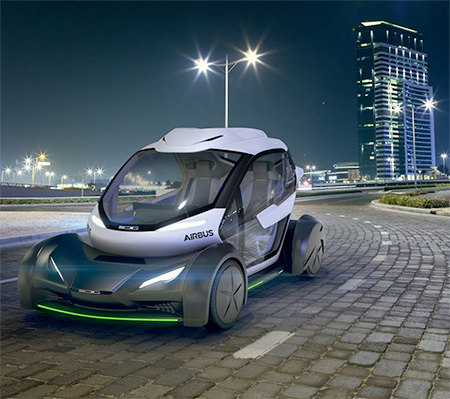 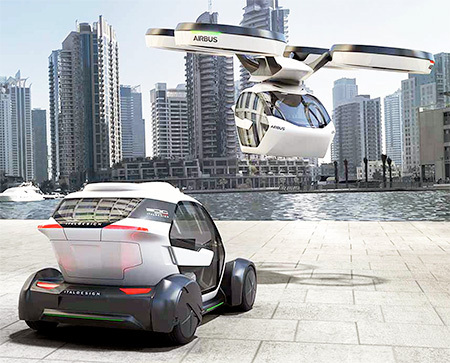 Modular flying electric drone car designed by Airbus and Italdesign consists of three components: passenger capsule, ground module, and flying air drone module propelled by eight counter-rotating rotors. 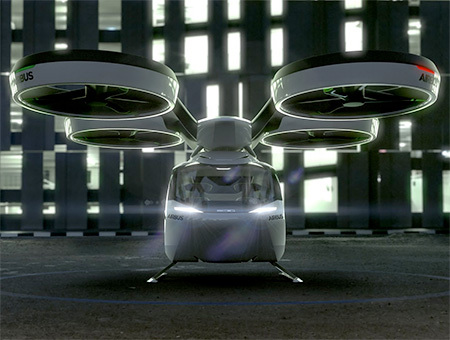 When roads are congested, passenger capsule disconnects from the ground module and is carried by the air drone. 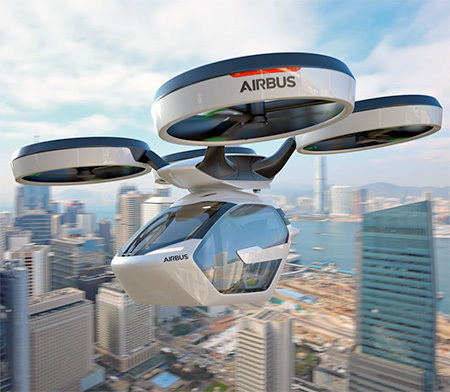 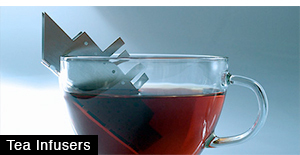 More rotors means more to be maintained to be air-worthy.